The Free Dictionary Language Forums » English » Science and Technology » The Operating System Windows 95. I have plenty of these install disks laying around my house and I can't find a need for them; however, they offer me some sort of sentimental value, some sort of mawkish weirdness that newer operating systems don't do. Does anyone else experience this strange nostalgia? It's quite depressing. "Foolishness is indeed the sister of wickedness." I also experience this nostalgia...I still have my Macintosh SE computer from 1988 (when I started up my business)...a black & white, about 8" screen, which held one MG of info and it was in an about a 12"x18" 'box', and I stored everything on floppy disks. I now have, 2 top of the line MAC computers with all the bells & whistles...four terabytes of memory and a 36" monitor! If you ever decide to rid yourself of them, there are collectors who will pay top dollar in an auction...as in eBay. I love my "Oldies but Goodies"...they are not mawkish or wierd. I believe they show a sensitive side....so don't get depressed, besides, how depressed can you possibly be in Miami, Florida....YIKES, it was 56 degrees here in NYC! And for God's sake, I still drive my 1999 Jeep Grand Cherokee Limited...it was my 30th wedding anniversary gift from my husband (of course I'm worth a Lamborghini but I settled for the Jeep...an old joke). It has outlived my husband by 3.5 yrs....it has many memories and still looks great! hedy ma'am, you have the superb style of teaching and crossing the threshold of the heart of any person. But why you dive deep, from TFD, for so many days? Thank you for the accolade, however, my heart is still broken and I obviously have not "crossed the threshold of the heart" of my raadja...so diving deep keeps me safe from the pain of loosing someone I still love. Sometimes, TFDers post a thread that I am compelled to answer, or I post one, but it has not assuaged my personal pain...I'm sorry. I still have my ancient Timex-Sinclair 2000, with its 2K bytes of memory and its ROM-resident BASIC interpreter. Entirely useless now, of course, but that was the most flexible, most capable BASIC I ever used. It was so good that I used it to create my own Assembler, which I then used to build my own I/O routines which could read and write (tape cassette only, of course) considerably faster than the original version. I have a D&G Motorazr that I keep for nostalgic purposes. I used to own the hot pink one in my university days, back when pink cellphones were still a novelty and fashion phones just began to be all the rage. I still think the first model of Motorazr is the most stylish cellphone to have ever been created. The D&G one is still working, I could make a phone call or send a text if I wanted to and there were occasions where my actual phone acted out and I had to use the razr temporarily. Boy, did it bring back so many memories. It still looks modern, though. Is that a micro-wave plugged to the computer? The huge box on the right is just the monitor - a Cathode Ray Tube television with electronic valves (what the Americans call 'tubes'). The truth is stranger than that. This is very similar to my first computer the RS 99/4a, in fact I recognize some of the same components that were manufactured to order by Texas Instruments. The entire CPU, BIOS, NVRAM, RAM, and motherboard are packed under the keyboard. The "toaster oven" was connected by cable and contained a small co-processor and expansion bays for ROM/RAM cartridges that could load extra memory, software such as programming languages, or data processing modules. Software was also typically loaded from audio-cassette acting as a tape drive and the resulting data often dumped to another tape. Floppies were truly floppy and about 5.25 inches (133 mm) in diameter, and they held about 360 kB. Don't knock it till you've tried it. One thing that I miss is being so involved with the control of the machine. It always did exactly what I told it to do, no more, no less, and I really had to be clear about what it was I wanted to do. CP/M, and especially DR-DOS, facilitated clarity of thought, although BASIC often enabled sloppy execution in the form of "spaghetti code". I have absolutely zero nostalgia for Win 95, even though it sucked somewhat less hard than Win 3.0. I really had to be clear about what it was I wanted to do. Yes - when you had to actually tell the computer what to do, you had to be very specific. Wizard's first rule - get the final result very clearly in mind before you cast the spell! You can't tell a demon "Make me gold!" or you end up being made into a gold statue. A computer has to be told every infinitesimal step to take - in exactly the right order. The trouble nowadays is that you - the end user - don't know what your computer is being told to do, and by whom! 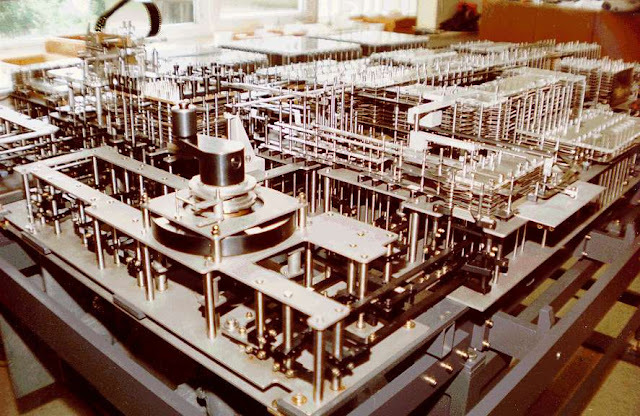 One of the first early super computers has to be Konrad Zuse's series of machines. Created in 1930s and 40s, they were one of the very first computers to be programmable as well as capable of multifunction. W95 OSR2.1 was a great OS. I used it for over a decade. The install routine was fairly easy to subvert so you could get it to install as an upgrade without it prompting for a key. You could also install it without IE or any of the other crap that left if weak and hobbling around on crutches. I agree: Windows was great. We all lived by it, back in the day. I used it exclusively, as most folks did, and never considered changing to any other O/S. Was there any other O/S? But ten years ago I tried Linux (Ubuntu) and I never went back. In all that time I have never de-fragmented a single disk and never encountered a virus, either. For micro/desktop computers of XT class there was CP/M, DR-DOS, OS/2, and of course the underlying basis for Windows, MS-DOS. Amiga, Commodore, and Xerox each had their own version of DOS. Later there was NeXT and BeOS, both ported to several different CPU families. By the late 1990s FreeBSD had also been ported to both Intel and PowerPC based micro computers. At the workstation level there were AEGIS, Domain/OS, HP/UX, and a number of UNIX derivatives such as Solaris that pre-date Linux by several decades. Someone has to keep this stuff alive. They recently had to send commands to reactivate the Trajectory Manoeuvring Thrusters of Voyager 1 that hadn't been used since it passed Jupiter in 1980. And the commands for which were written in code before the launch in 1977. For the supertech programmers at JPL it must have been like having to learn to write in Ancient Babylonian! Fortunately, the cultures of academics and researchers — and no small amount of peer pressure — have strongly encouraged adequate documentation of non-trivial code, often in-line with the code itself. Unfortunately, engineers and managers, for good reasons, are not so likely to conserve documentation for microprocessors and their particular machine languages when the chips are likely to be outdated within a year or two anyway. It is enough to know that something works or doesn't, so hold on to the former and lose the latter as excess baggage. JPL falls firmly in the former case. I'm quite confident that they recorded and archived every step and miss-step along the way, including the debugging tools and development libraries. NASA not so much. Typical of the non-archival mindset was around the time of the thirtieth anniversary of the first moon landing, when it was discovered that several containers of videotape and film had been incorrectly labeled, so the actual recordings of the first landing were erased or discarded instead of the training and simulations. This led to a great deal of embarrassment, not to mention all sorts of wacky conspiracy theories that still won't die. Ha, busted - so it was all faked! 'Wiped the video' my arse. Pull the other one! A friend loaned me a TRS 80, back in 1994 or so, and that system wiped away a lot of nostalgia. It was pretty useless, with 5 1/4" floppies, which held next to nothing on them. So, I was underwhelmed, until he sold me a 486, with Windows 3.1, then I was interested. I could do something with it, like play Doom and write on a word processor. I go looking for throw-a-ways sometimes, and I find things like Word 2000, which I had good memories of. When I installed it, there was Clippy. He was pretty lame, and always asking the wrong question or something. Thank God for Word 2010, it is so much better. In closing, nostalgia for me usually ends up getting mugged, by the demand today, and its needs. I am a very nostalgic kind of guy, and mawkish too; but modernity always clobbers me back into the day at hand. NOTE: I have some old thrown away chassis; and I look at them, to see how things are put together. And there is where my curiosity ends. A friend loaned me a TRS 80, back in 1994 or so, and that system wiped away a lot of nostalgia. It was pretty useless, with 5 1/4" floppies, which held next to nothing on them. 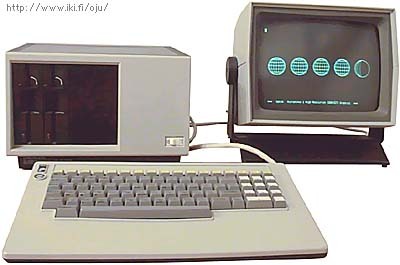 Oddly enough, my first microcomputer was the close relative, a TI994A, also marketed by Radio Shack during the 1980s. It is very interesting how much could be done with a little discipline and some creative programming. I was able to cobble together and share a useable framework for a simple pedigree database applied to dog and cat pedigrees to a depth of about seven generations and about 120 breeding events. Needless to say, what I did would never compete commercially with something developed with FoxBase or a similar 4GL framework, yet it got the job done. What I find is that much of the 'modernity' is redundant. My desktop of five years ago was one-tenth, one-twentieth the 'power' of this one. It runs XP. Before MS started sending megabytes and humongabytes of 'updates', it worked perfectly and did everything I wanted it to do, fast. With every 'update', it just became slower and slower. I ended up taking it off-line completely, resetting it to the earliest restore point I could find, and deleting all temporary download files. Now, (five years later, with no updates) it still works perfectly, does everything I need and does it FAST. I operate with two - one which uses the internet and one which has an 'air-wall' (physically separated from all other equipment, and has no modem for wifi). I try to keep the internet one down to a couple of browsers, firewall and virus-scan program, image-viewing and PDF programs. Still every few days I have to delete THOUSANDS of MB of totally useless junk - Candycrush, Bubblewitch Saga, Farmville, Googleplaystore, maps, ads, programs to play me a tune on my birthday, programs to search and find the cheapest hotel in Iraq for this summer, . . . It's the same with my phone. I use the phone, text, voicemail, camera, image storage and whatsapp. That's it - I don't play games, check my phone to see if it's raining outside the window (I just look). I don't watch TV, films, add beards and glasses to photos, need an app to tell me where I am right now, tell me where the nearest Barclays bank is (I don't bank with Barclays) and so on for fifty other unwanted 'apps'. So long as I can keep up with deleting all the 'updates', it works perfectly. If not, it starts becoming slower and slower. I still have a VM (VID) that runs Mac OS 8.6 flawlessly, and, as you have said, with eminent celerity. It does what I want it to, no more, no less. I own it, and it certainly does not own me. Of course, technically, you don't own it at all. Every bit of digital content, the entire OS on any computer you own, is still the property of the original owners. You own the plastic in the CD's, but the content is not yours. I still have 2 sets of Windows 95 installation floppies. I'm not sure what to do with them. I guess sentiment is part of the reason I hold on to them, though I doubt Microsoft would come after me for selling their property at this late date if I chose to do that. Maybe You should sell it on eBay and sometimes old items sold at good price, with that buy a new one.